Status of our Sector Webinar, we would like to share two new important pieces of information we received today from top-level Department of Education staff responsible for the interpretation and implementation of the GE regulations and metrics. 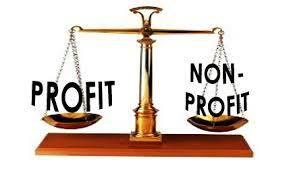 CSPEN has received word that sometime in October, not November as previously forecast by CSPEN and the Department’s own published timelines and Power Point slides, all schools with programs subject to the gainful employment regulations should expect to receive their Draft GE Debt-to-earnings (D/E) data. While no specific dates were provided, the release could be as early as October 21st – following completion of the first two GE Reading Files and Submitting Challenges webinars, but are more likely to come sometime the week of October 24th. CSPEN also expects the 45 day challenge period to be announced separately either by the end of October or in early November as well. From for-profit colleges to student loans, at what point does sensible policy start to become political bullying? 1. Public higher education isn’t really cheaper or better-performing than private higher education There’s how much something costs to make and how much people have to pay for it. Public colleges seem like cheaper alternatives to private non­profit and for­profit education but that’s only because taxpayers, depending on which state you’re from and which institution you attend, foot between 30 and 70 percent of the cost. Take that subsidy away and students at, say, the University of Georgia or Montana State University would be paying ­ and likely borrowing ­ one and a half to twice as much as they do now. 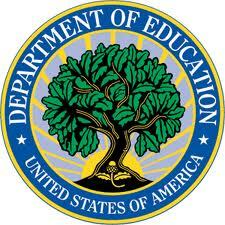 The U.S. Education Department’s gainful-employment rule is one step closer to taking effect. A federal judge on Tuesday rejected a serious legal challenge, brought by the Association of Private Sector Colleges and Universities, to the controversial rule. The lobbying group’slawsuit was the highest hurdle remaining for the proposed rule, which will judge career-oriented programs on their graduates’ ability to repay their student loans. The rule is slated to take effect on July 1. The department originally introduced the rule in 2011. The effort was dealt a major setback a year later, when a section of the rule was thrown out as a result of an earlier court challenge by the association, the main lobbying group for for-profit colleges. The group’s second challenge, to a revised rule, used many of the same arguments, asserting that the department had exceeded its authority in issuing the rule and that the rule was capricious and arbitrary. Also in a written statement, the private-sector association’s general counsel, Sally Stroup, said the group was “disappointed” in the court’s decision and was considering its options. “Indeed, as numerous commentators have observed, the primary impact of the regulation will be to deprive hundreds of thousands of students of access to higher education,” she added. The final rule, which was released last fall, is expected to cause 1,400 programs, 99 percent of them at for-profit colleges, to be put at risk of losing eligibility for federal student aid. The victory for the department occurred on the same day a committee of the U.S. Senate approved a spending bill that would ax the gainful-employment rule and the department’s college-ratings plan. would have failed under the 2011 final rule (“Gainful Employment 1.0”). rule, but if so, believe this will also be an “or” metric. On December 11, ED released a third draft of gainful employment rules for this fall’s negotiated rulemaking (NegReg) sessions. session began November 18; and the third (and likely final) one-day session will take place on December 13. Title IV student loan eligibility for programs at some schools in 2019 and beyond. from 45% to 35%, for example. note offers the details on the new rule and the schools’ debt-to-income and CDR exposures. and are likely to appeal again, so it could be a lengthy process to put the rules in place (if they are put in place at all). following a private-sector industry appeal. reauthorization process, which began in October but will likely take years to finalize. reached through negotiation as a positive scenario for most public colleges. likely foundation for a formal legal challenge. community college programs would be politically unpopular). in the initial draft rules for gainful employment 2.0, released in August. support for the metric to withstand another legal challenge. 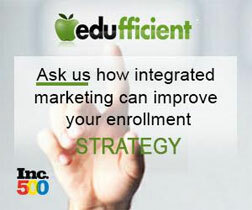 been inflicted by the threat of the rules (enrollment is down 20% to 30% across the sector). Timo Connor, CFA, joined William Blair & Company in 2010 and focuses on education services and technology. Previously, he worked as a fixed-income analyst at Bank of America and BNY Mellon. Mr. Connor received a B.A. in economics from Northwestern University. 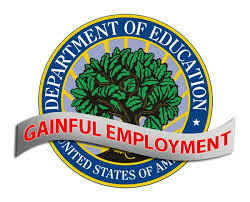 The U.S. Department of Education has announced that the second session of gainful employment negotiated rulemaking is rescheduled for November 18-20, 2013. The negotiated rulemaking committee will convene from 9:00 am to 5:00 pm on each of the three days of the session at the Department’s offices on 1990 K Street, N.W. in Washington, D.C. The Department postponed the second session, originally scheduled for October 21-23, 2013, because of the shutdown of the Federal government. As you know, the government closure impacted the schedule of the negotiated rulemaking sessions. After round one of these negotiations, the Department created a series of working groups on specific issues. The Department is expected to combine some of the input from the first round of discussions with some of the recommendations from the working groups to create a revised draft regulation. With the second round of negotiated rulemaking scheduled for November 18-20, we anticipate a revised draft regulation to be released prior to those meetings. The next draft will send an important signal of how much the Department is willing to engage around the proposed regulation. *Because of the federal government shutdown due to a lapse in appropriations, the second Gainful Employment negotiated rulemaking session that was scheduled for October 21-23 has been cancelled. Once the government reopens, the session will be rescheduled. Please monitor this website or the Federal Register for information about the rescheduling of Session 2.